For the first time in my 7 years as a Councillor, I attended a WALGA AGM today. And I realised that we have a problem. ‘We’ being everyone in the Perth metro area. Yes, all 1.9 million of us. 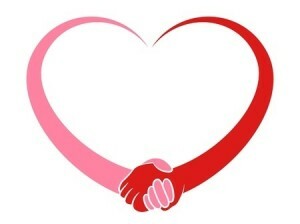 I like WALGA, they do a good job in promoting and supporting the Local Government (LG) sector. I especially like their “preferred tenderer” program which streamlines LG processes, the LGIS insurance and also their education courses. However I identified a major democratic problem which will lead me to push for some seismic changes. It all comes down to the votes. The votes dictate what WALGA ‘take on’ and what they don’t. Yet the most populous area, metropolitan Perth, is being jilted. The support offered to country LG’s is not being reciprocated. And why should it; they dominate. Metropolitan councils represent circa 1,935,867 people; country councils represent circa 645,366 people. Yet, the votes are the other way around. Each LG is placed in a “zone” with their neighbouring LG’s, and each “zone” send a stipulated 1, 2 or 3 representatives to WALGA’s State Council. Things are configured so that there is an equal number of metro and country representatives on State Council. It sounds nice and fair; but it isn’t. It is undemocratic; it is saying 1 person is worth more than one vote and another person is worth less. And I’m sure we all remember Labors “1 vote 1 value” campaign; so I look forward to Labor’s support in changing things. Country LG’s represent 25% of the population but have 79% of the votes. It matters because of the motions which came to the AGM today. From WALGA’s deep concerns over the WA State govt’s continued attack on regional funding cuts (ie. Moora College) to being able to remove vegetation between 30m of farm driveways, there was a strong focus on regional issues. Yet, one metropolitan issue brought to the table from the City of Subiaco was lost. I personally don’t want the City of Bayswater to adopt the proposed change, and certainly it seems the problem of heritage houses being demolished and left as vacant land is not something regional LG’s have a problem with. But some LG’S do. And that’s the point. 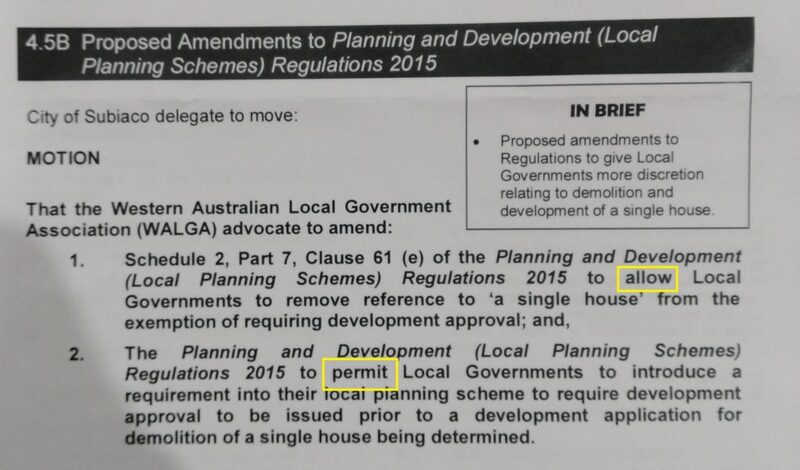 If Subi, Freo and other metropolitan LG’s speak in support of a motion, and the proposal was optional for LG’s to do (see highlighted words), why would anyone vote against it? Yet it seems country representatives did; and of course they won. It is clear to me that metro and regional LG’s face different issues and hence should have different representation. It is now impossible to change WALGA’s constitution to lesson the power of regional LG’s as they would never support that; and they have the power. The only solution is for metro LG’s to leave WALGA and start a “Metro WALGA”. This can hopefully be done amicably and still have synergies between the two entities. Very good reading Chris I see the point your making a bit like the loves and fish not an equal distribution among other issues.